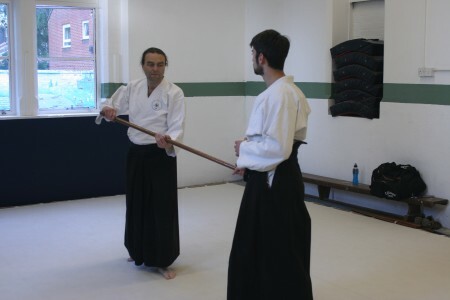 We teach traditional aikido but incorporate aspects of some other martial arts to enhance its effectiveness in real life situations. Traditional aikido relies heavily on movement and blending to counter an attack rather than forceful blocks punches and kicks. It does not require extreme fitness or flexibility. As a result we can train with a large range of people, tall, short, stout, slim, male and female.